Cuban Coffee – Famous all of the world, the aroma, flavor and texture of real Cuban Coffee is just perfect. Known for its sharp aftertaste and rich fully body, Cuban Coffee is now making a comeback. After years of languishing behind Blue Mountain from Jamaica, Cuba Coffee is returning to specialist gourmet stores worldwide under the name Cubita. 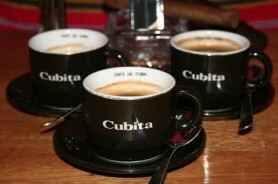 Cubita Coffee is served all over Cuba, especially in Hotels and tourist destinations. However, due to the high price of the Cubita export variety in relation to local salaries, Cubans buy their beans and grind their own. So, in your Casa Particular or Paladar restaurant, or even on the street, you’ll be sampling the equally excellent home ground coffee beans. The big question is obviously, how do Cubans like their coffee served? Well, we can only say Cuban Coffee is sweet! 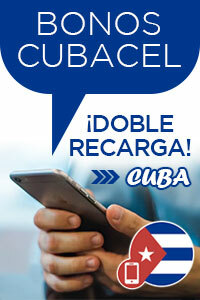 Yes, they’ll add more sugar (another Cuban product) than you’re used to but hey, you’re in Cuba! Tags: Best Coffee in Cuba, Coffee from Cuba, Cuban Coffee, Cuban Coffee Beans, Cuban Coffee Cubita, Cuban Coffee Export, Cubita Coffee from Cuba, Cubita Cuban Coffee, Real Cuba Coffee, Where to buy Cuban Coffee?, Which is the best Cuban Coffee?